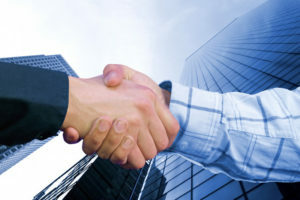 The B2B industry has always had challenges in connecting more personally with buyers in their marketing endeavors. Many in this field began to realize that using better promotional approaches gets them away from looking overly buttoned down. This includes using quality-printing items to attract businesses. Here in St. Louis, the B2B industry continues to thrive, and they get continual help from the local chapter of the Business Market Association. However, B2B locals have to seek the best printing in St. Louis on their own to properly promote themselves. With new products available today, and old items continually being reinvented, print marketing has hit a major peak. As a result, B2B businesses found new avenues in attracting new buyers, or re-inspiring old ones. Take a look at some methods and products that help connect with businesses in refreshing ways. These generate more interest in those who still don’t expect promotional efforts from those in B2B. Trade shows are still necessary for those in business-to-business careers to showcase products and generate in-person connections. Nevertheless, it’s not always possible to bring every product, or even have time to discuss every feature. Experts in B2B marketing consistently note that brochures are one of the most important tools to convey information in this field. An expertly printed brochure takes the place of whitepapers when focusing on products. Creating a physical brochure allows something tangible for prospective buyers to peruse at will. Unique paper stock and coatings create a stunning front cover as an incitement to read when displayed on a product table. Inside, extra space is available to include rich and colorful photography for product stats. Specialized fonts are available for strong branding while still making it easy on the eyes. 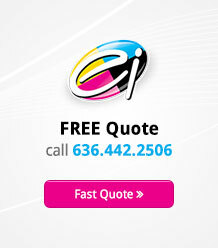 Even better is that brochures are works of art that when designed right, convert the reader into clients or customers. A possible buyer may take your brochure with them to read on their own time later. It makes a buying decision for them so much easier, especially when seeing a clear and engaging presentation. Creating loyalty cards quickly opens up new business relationships when sending these out via mail. As a form of coupon or discount card, new customers save money on exclusive products for limited times. When businesses buy from other businesses, they want long-term relationships to gain a reliable product source. Even though a loyalty card has a small space, there’s still ample room to print prominent branding imagery, including product placement. Adding key tags and break-off tabs gives more exclusivity to entice businesses to use the card in-store. Online use is just as simple by printing QR codes on the front or back. As businesses become busier and shop on the go, it pays to think about ways to use promotional tools through mobile devices. Still, physical use holds up for longer periods when using PVC or composite plastic materials. By handing these out in person during trade shows or other live events, B2B companies look more inviting and less formal. The B2C industry took the postcard and reinvented it into a new marketing tool that’s just as effective as brochures or presentation folders. Those in the B2B industry should learn from B2C and use the postcard accordingly, especially in presenting a popular product. Despite a long history of postcards featuring photos of tourist destinations, it isn’t necessary to limit the imagery used. For a helpful B2B product, more detail helps a buyer differentiate from something similar. Made with heavy card stock, a custom postcard holds up through repeated handling so photographic quality doesn’t fade. Plus, with shaping and sizing variances, more personal branding goes into the design. All B2B companies need extra branding opportunity to stand apart from similar businesses nationwide. The above product images look more lifelike when applying custom surface techniques like high-gloss lamination, embedded pearl fibers, or foil finishes. When those in B2B develop a mission statement, motto, or even a logo, they already start to carve out an improved identity for themselves. It doesn’t require a large billboard or even larger promotional products to make this relevant. A business card is a longtime standard in the B2C industry, though B2B has just as many possible uses. No longer is this product a flimsy piece that easily falls apart in harsh conditions. Now it’s possible to get heavy card stock or quality plastic stock to enhance design and durability factors. Having ability to shape and size these cards to personal specifications gives another unexpected element that surprises any recipient. More so, with matte or dull coatings, any printed logo, motto, or catchphrase is immediately noticeable at any distance. Offering these in person at trade shows gives an immediate first impression. A visitor can’t help but read when seeing colorfully vibrant keywords on the card’s front side. Don’t forget that smaller marketing products and simple words bring as much attention and inspire action as anything more ostentatious. Taking time to create brochures, presentation folders, postcards, and business cards, the B2B industry will finally open up to forming an appealing personality. This only brings more loyalty from buyers who realize the company they buy from has a compelling and meaningful message.